Hailed by travelers as the best bike tour in Europe, Munich’s Bike Tour is the ideal way to cover all of the major city sights be entertained and learn about the city. 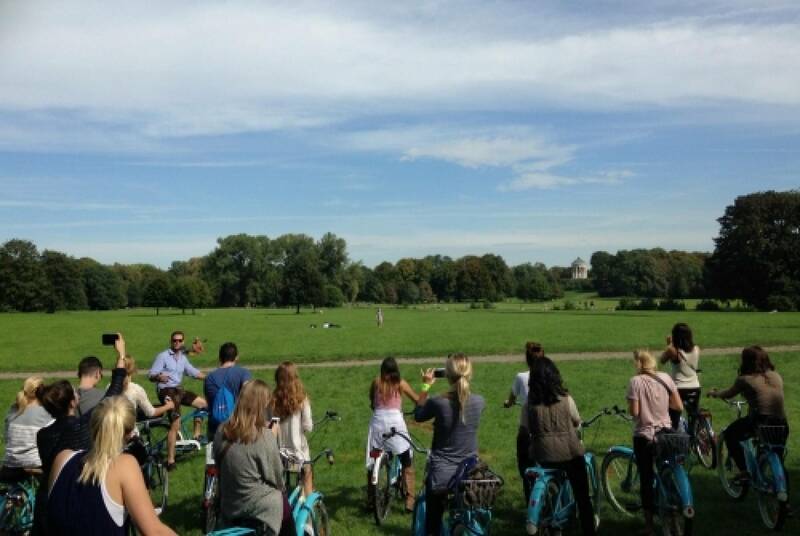 Stops on the bike tour include, Marienplatz, Hofbrauhaus, English Gardens, Chinese Tower, Surfer’s Bridge, and Bavarian Parliament. This Bike Tour must be pre-booked to ensure your spot on the tour. This tour departs from the campsite, festival or hostel to the bike tour, please allow yourself enough travel time, so that you make the tour on time. Please speak with your Tour Leader for exact departure times for your weekend.